So, having already been long accustomed to that difference myself, not just the taste but even more so the health benefits, I had to find an equivalent to sourdough, albeit without the sourdough. And so began my foray into alternative breads that still have some of the value of traditional grain preparation methods. When it comes to traditional grain preparation, sourdough is one spoke of a three pronged instrument: you have souring, soaking and sprouting. All three are beneficial and appropriate for use depending on what you have to work with and what you want to achieve. For me, the most convenient option at that moment was soaking since it required nothing more than putting the grains or the flour to soak overnight in a slightly acidic medium. Now, these methods will never yield the type of open structured bread that you can get with using sourdough but in terms of taste, the results are nonetheless pleasing in their own right. 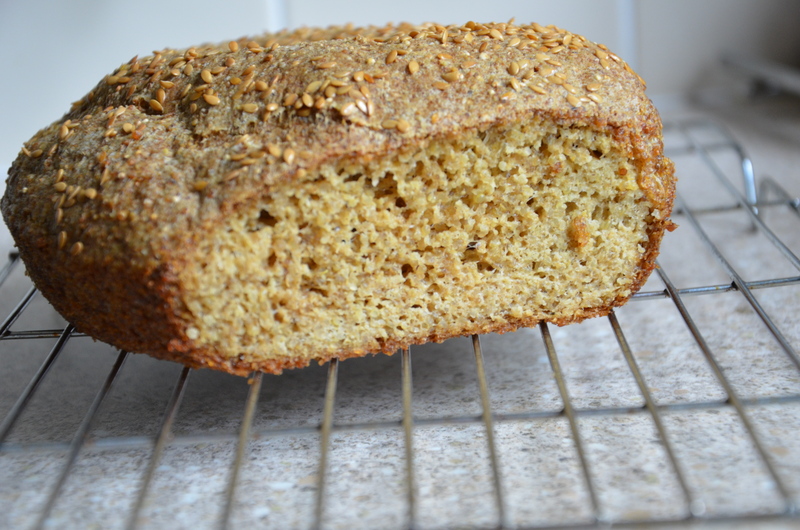 It was not as pretty as Sophies’s, and I don’ know how hers tasted but even though I like quinoa boiled the regular way like rice, I wasn’t too keen on the taste of it in bread form. Admittedly, Sophie did say that it didn’t taste like a true bread but that it was delicious in its own right. 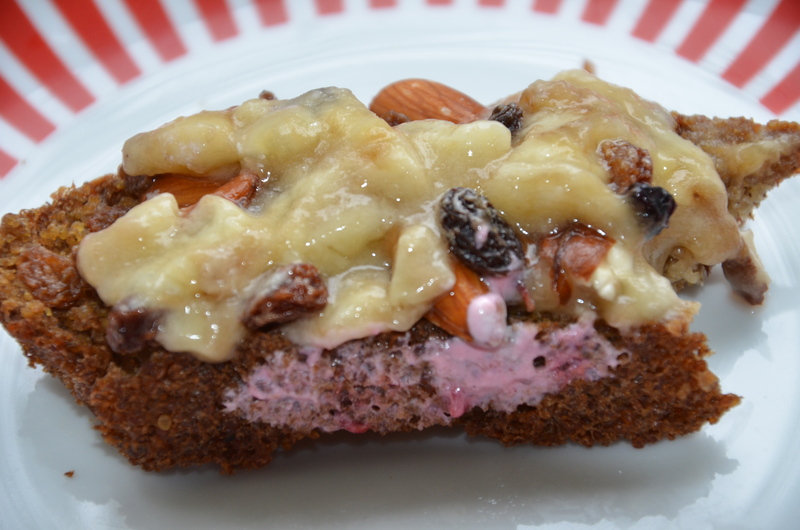 I actually found it delicious with a topping of mashed ripe bananas, yogurt, raisins and almonds – not a great food combination for optimal digestion, I know, but it took this ‘bread’ up a notch on my taste rating scale. 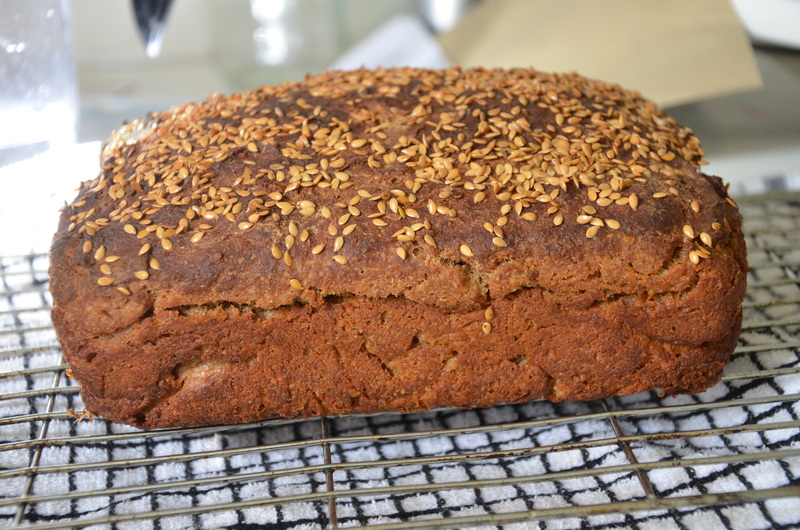 I turned my ‘unbelievable bread using millet and quinoa’ into cake! 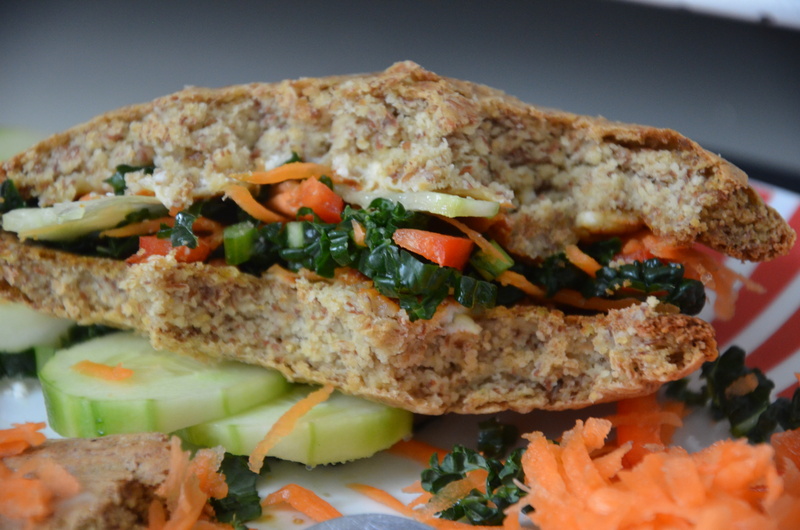 I made another attempt at making the millet and quinoa bread but replaced the quinoa with rice. It didn’t rise very well and it even fell drastically once I took it out of the oven-a typical side effect, I imagine, of gluten free baking. The texture was even less bread-like than my first attempt but it tasted okay. Altogether, it reminded me of pudding-the kind we make in Jamaica. 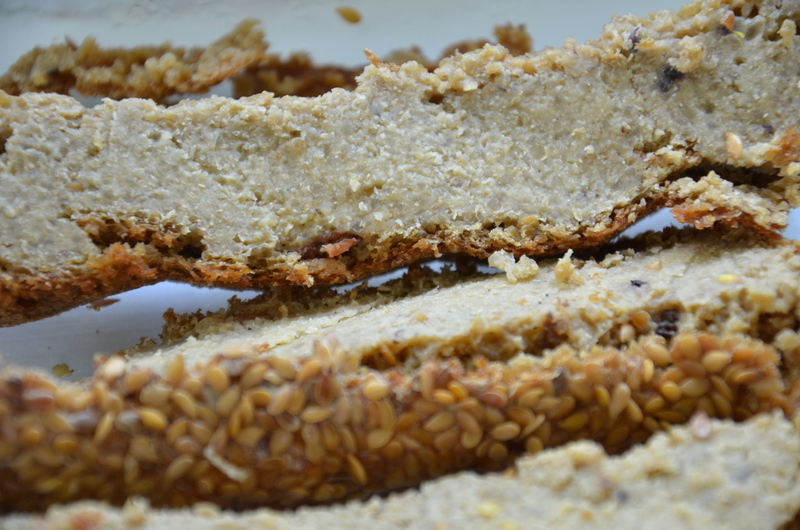 Rice and millet bread – an experiment. The texture was pudding-like and fairly tasty. 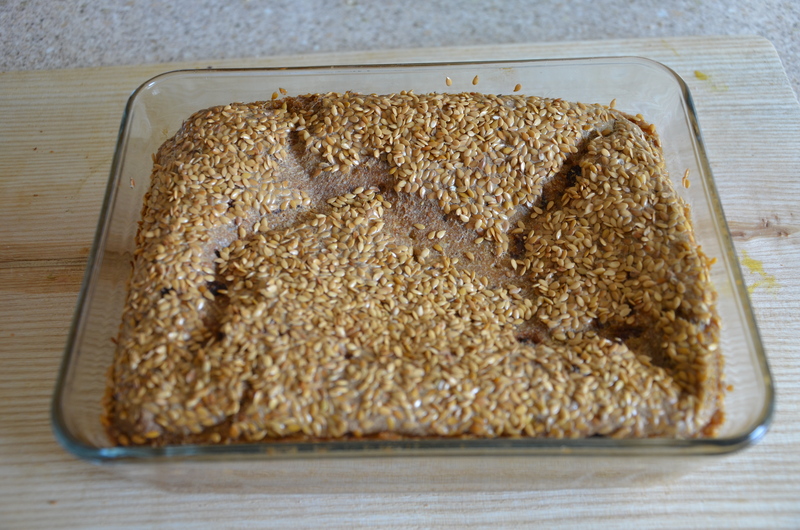 The flax seed topping gave it a nice, crunchy crust. Wrinkled bread! It tasted okay but there was absolutely nothing to hold it together. This is what it looked like when turned upside down. Failures, I believe, are the precursors to success. 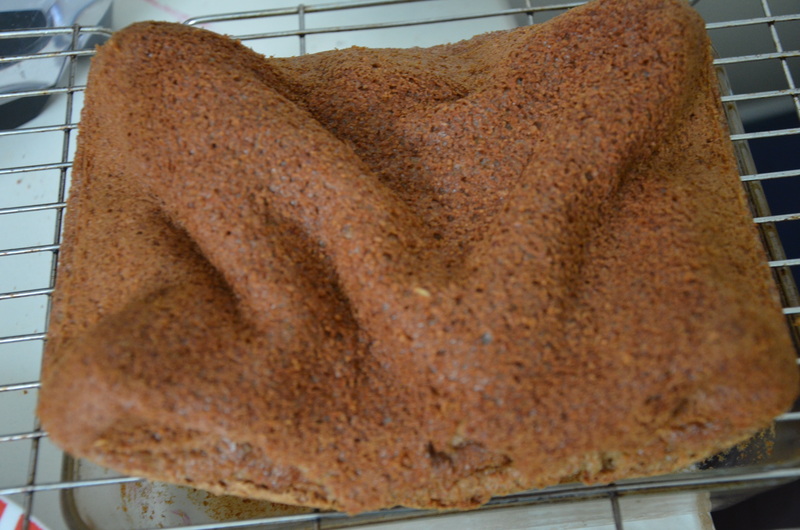 And this is the same bread turned right side up – not very appealing but still fairly tasty. Hollow, sunken bread. Not very appealing but still fairly tasty. Then I tried a few recipes where I soaked the flour itself overnight. Of course, I was very limited in some ways because not every recipe calls for enough water to accomplish the soaking of already ground flour. But I did find a few where I was in fact able to soak the flour in yogurt, or in water with a tablespoon or two of apple cider vinegar. In such recipes, buttermilk, whey or kefir are also often suggested as media in which you can soak the flour but almost always, I used yogurt or water with cider vinegar. 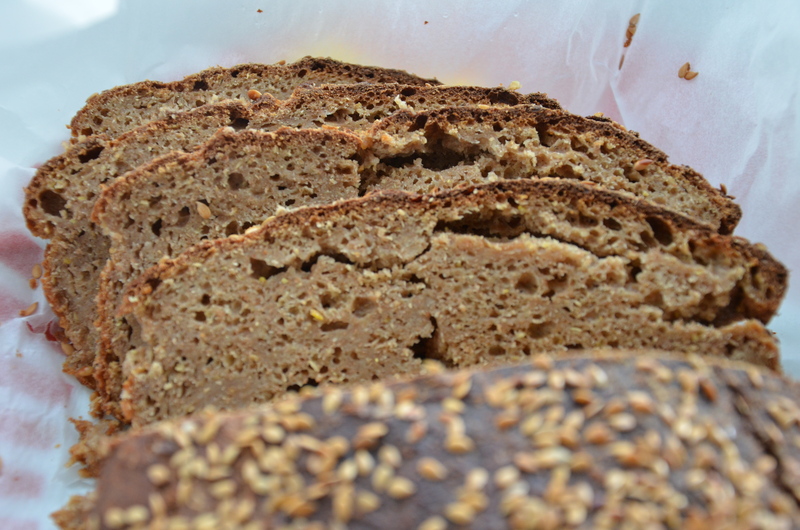 Dr. Mary Louise Rodio’s yeast-free bread recipe is another one I tried out. Her’s didn’t say to soak the flour either but again, I opted to add in the soak. 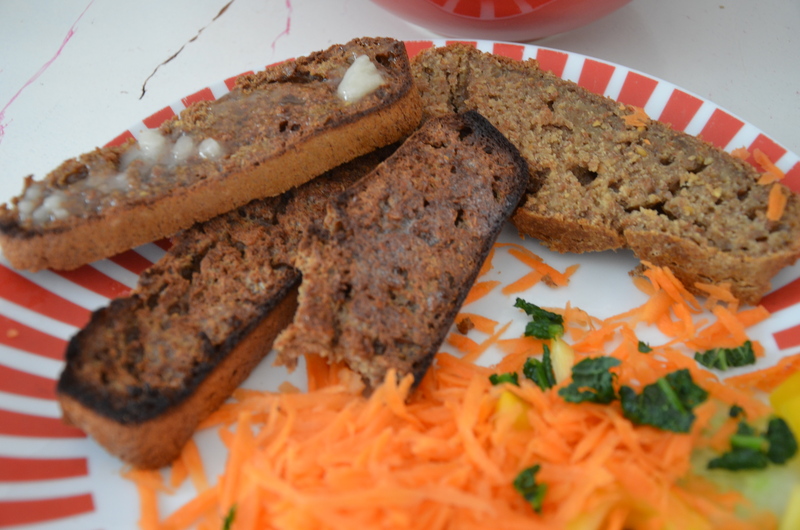 It tasted fairly okay but I did struggle with the bread sticking terribly to the baking dish. 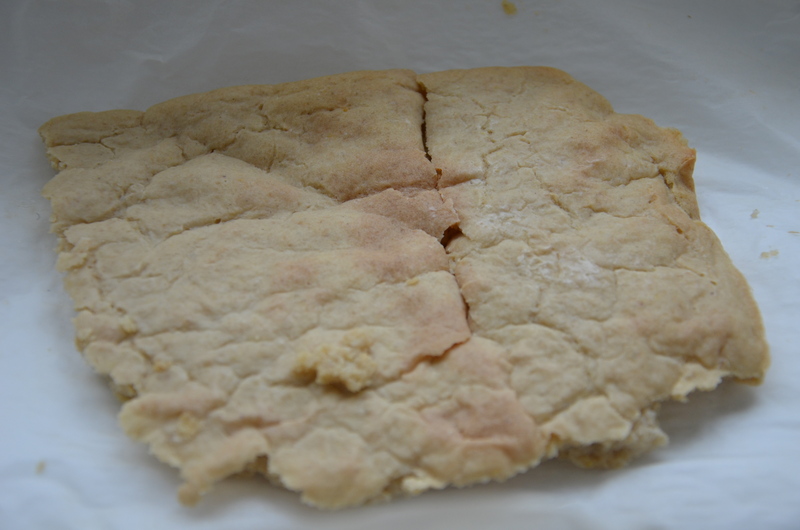 A soaked flour bread recipe – a combination of several recipes all rolled into one. Soaked flour bread – sliced and ready to be devoured! 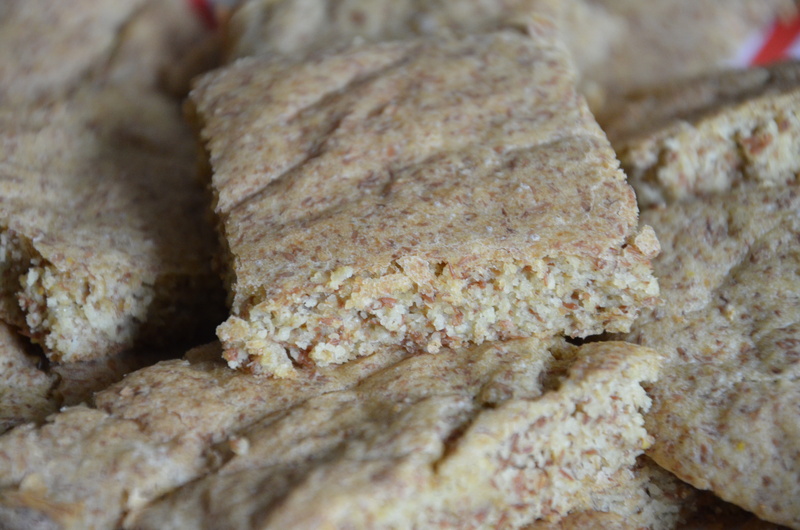 Rice and millet flat bread – a bread that tastes better with age. Now, gentle reader, you will remember that I told you failure is a precursor to success, and you would do well to remember that in relation to whatever tasks you have standing in front of you like extraordinarily tall hurdles. One day, Alex gave me some Einkorn berries that were at the bakery. I decided to use them in a flat bread recipe. I used Al and Tom’s recipe, substituting the Einkorn for the rice. But first I sprouted them: it took about 3 days for the tiny sprouts to appear. The blender had a hard time of it grinding them down. 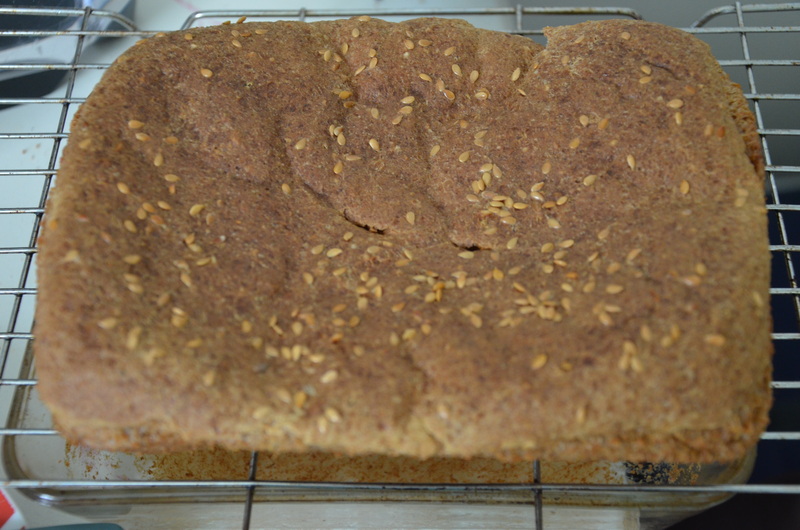 Flat bread made with Einkorn sprouts and millet. Delicious! 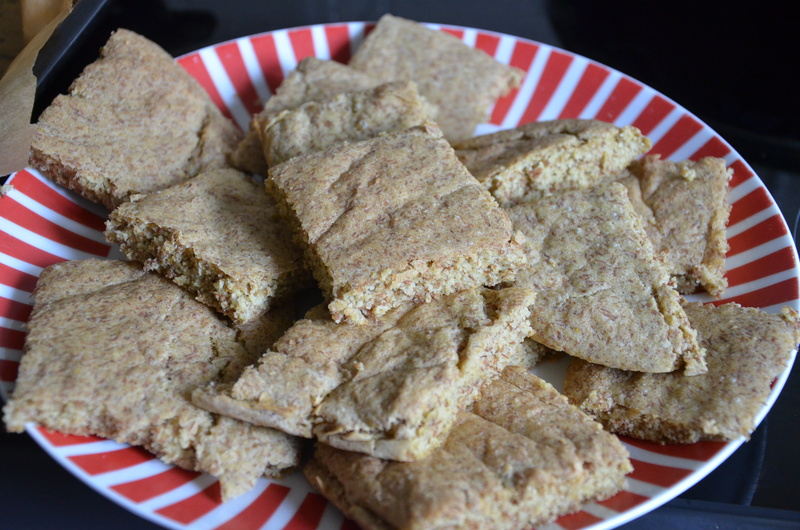 Flat bread made with Einkorn sprouts and millet. Moist and kind of crunchy at the same time. A fabulous flat bread! I left two pieces of the bread as bigger slabs and made them into a toasted goat cheese sandwich, with raw veggies and a garlic/olive oil dressing. It was colourful and oh so tasty! A visual and gastronomic feast! 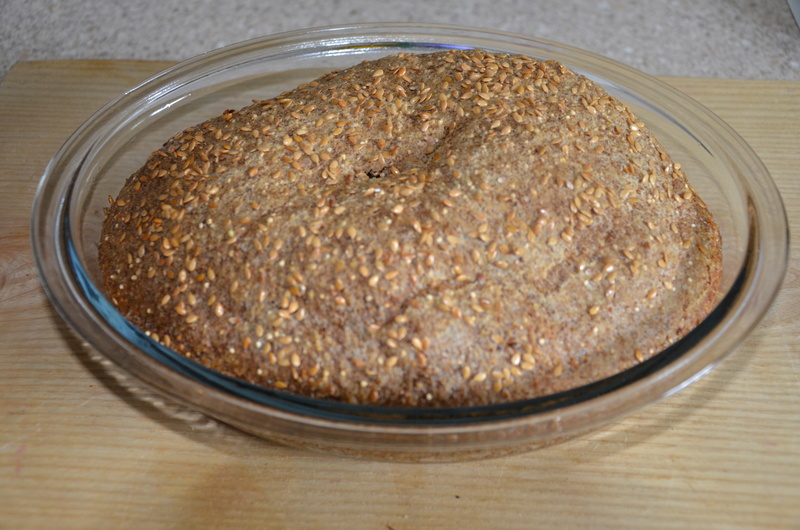 Sprouted Einkorn and millet flat bread. A lunch I truly enjoyed! I was quite getting into this alternative bread baking thing. I was throwing together all and any grains and trying out a thing. 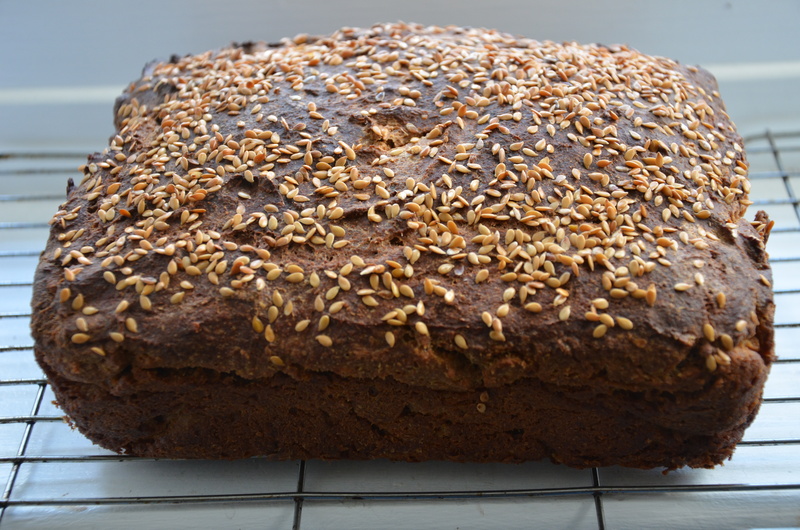 This is one I decided to make with pearled spelt because I didn’t have regular spelt. It tasted nice toasted with selections of butter, honey and raw veggies. Another bread made with pearled spelt. Pearled spelt for bread? A bit crazy, I know but it tasted pretty nice, although not quite the right texture. All in all, I am looking forward to starting my sourdough starter again but until then, I’ll be dabbling in these soaked grain alternatives. There’s no telling what treasures will be unearthed along the way. Soak flour in buttermilk, kefir or yoghurt in a warm place for 12 to 24 hours. 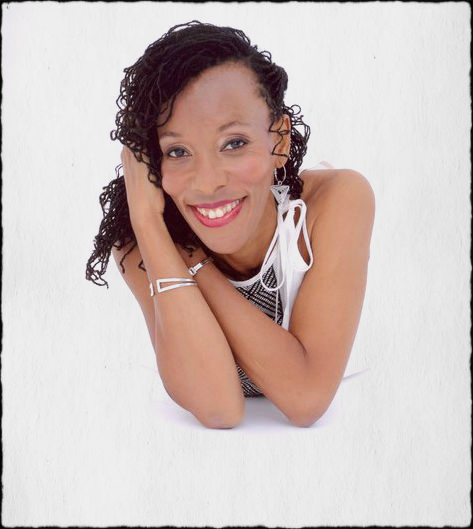 (Those with milk allergies may use 2 cups filtered water plus 2 tablespoons whey, lemon juice or vinegar in place of undiluted buttermilk, kefir or yoghurt.) Stir in other ingredients and thin to desired consistency with water. Cook on a hot, oiled griddle or in a cast-iron skillet. These pancakes cook more slowly than either unsoaked whole grain flour or white flour pancakes. The texture will be chewy and the taste pleasantly sour. Serve with melted butter and maple or sorghum syrup, raw honey, berry syrup or apricot butter. Variation: Let pancakes dry out in a warm oven. These make delicious snacks with raw honey, apple or apricot butter or homemade cream cheese Whey and Cream Cheese. Small crispy pancakes may be used as a base for canapes.